Governor General’s are generally not very newsworthy and tend to be front and centre for charity work and official functions. It is, therefore, noteworthy that one year into her appointment Governor General Julie Payette is the subject both of critical news coverage (see below) but that she also is now being tested in public opinion. A recent Angus Reid Institute survey finds that only 22% of Canadians think she is doing a good job. Twenty-one per cent think her performance is bad (57% are not sure). The high percentage of people who are unsure is not surprising. A couple of news articles are unlikely to be that pivotal in a world of fractured media. Those who are paying attention are, however, holding strong views. 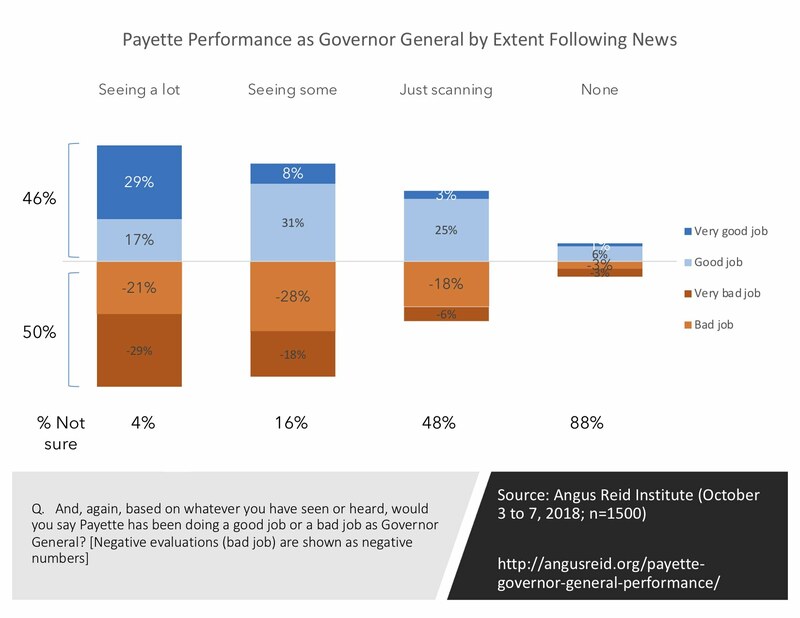 Of those seeing a lot of news about Payette (7% of Canadians), 46% think she is doing a good job and 50% think she is doing a poor job. Those seeing some news are more likely to be negative than positive (46% negative). The divided nature of public opinion on performance so far is in sharp contrast to the fairly significant enthusiasm for her appointment. In a 2017 Angus Reid Institute survey, 55% of Canadians approve of the appointment (only 14% disapprove). Opinion is further divided by political affiliation with past Conservative voters more likely to think her performance has been bad (41%). Older Canadians and men are also more critical of her performance. 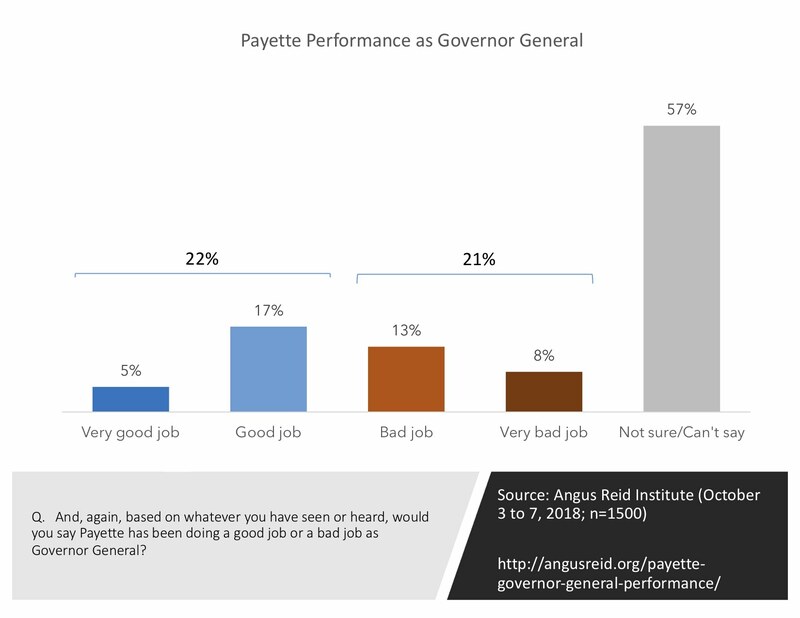 For the same reasons it is hard to for Canadians to come to judgment about the performance of the Governor General, it will be hard to push the momentum in a positive direction. Governor Generals don’t have a lot of visibility on which to capitalize. Unfortunately the visibility she is getting is driving considerable negatives. 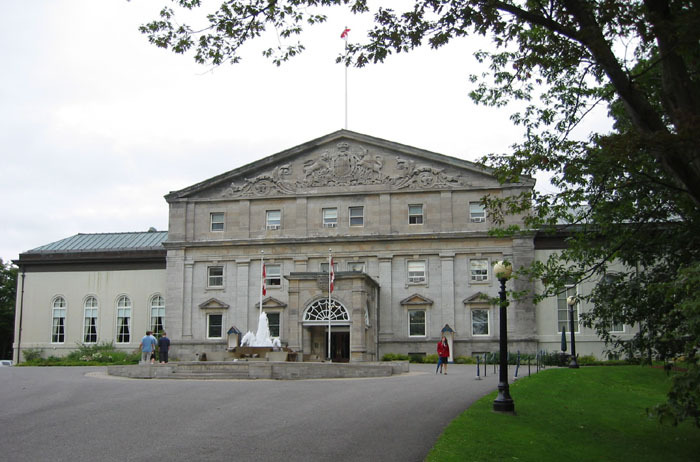 The reputation of a Governor General is based on quiet diligence and focus on an individual and community level. You build a reputation for competence in part by how you perform high profile events but mostly on how you use the office to advance issues of concern to Canadians. It is about galvanizing the public not about media profile. But this is an area that the media reports suggest the Governor General has not been up to task. It will be a difficult undertaking to reverse this since it won’t be solved with a photo op, speech or announcement. It is about reconnecting with Canadians while respecting the role of the office.